Stratasys announced Wednesday that it will acquire Makerbot, effectively merging two of the biggest names in the 3-D printing industry. The $403 million deal will allow Stratasys (SSYS) to compete more in the consumer 3-D printing space. Makerbot makes less expensive systems for hobbyists, though they're not exactly cheap -- the Makerbot Repolicator 2 sells for $2,199. "Makerbot has impressive products, and we believe that the company's strategy of making 3-D printing accessible and affordable will continue to drive adoption," said David Reis, Stratasys CEO, in a prepared statement. The Brooklyn-based Makerbot has sold more than 22,000 desktop 3-D printers since it was founded in 2009. Its products are gaining traction too: The company says that 11,000 of those printers sold came in just the past nine months. 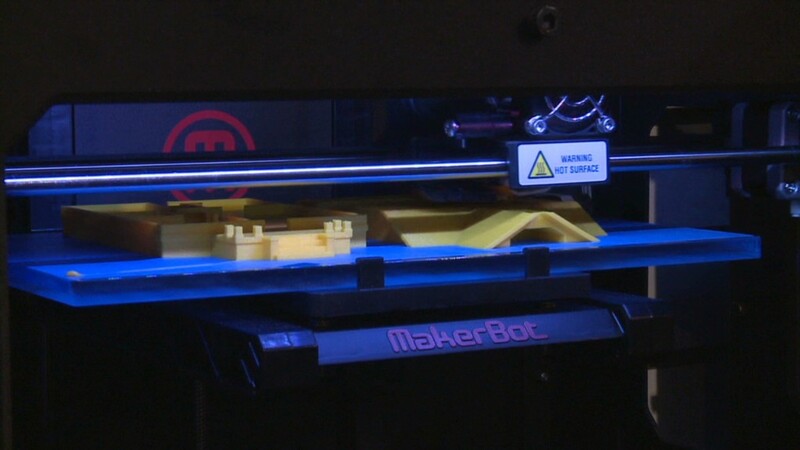 Stratasys, which specializes in professional-grade 3-D printers, said it will operate Makerbot as a separate subsidiary once the merger is complete. The companies expect to finalize the deal by the third quarter of 2013. Bre Pettis, Makerbot's CEO and co-founder, will remain on board. In the stock-for-stock deal, Stratasys will purchase all of privately held Makerbot's shares in exchange for 4.8 million shares of Stratasys' publicly traded shares. Though that puts the initial value of the merger at $403 million, based on Stratasys's closing stock price of $84.60, Makerbot stakeholders could take home 2.4 million more shares if the company meets certain performance-based thresholds through the end of next year. At Wednesday's closing price, that could sweeten the deal by $201 million.